Christine Hayes is a Columbus native and columnist for the Short North Gazette. You might know her as Ramona Moon, the art car lady. 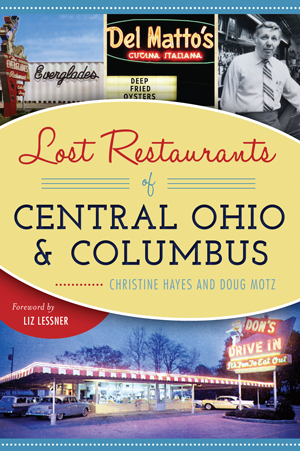 Aside from gluing toys to her car, Hayes has edited a book of her father’s old newspaper columns and cowritten two books about Ohio’s lost restaurants. On this episode of Craft, Christine talks with Adam Hribar about some of the missing eateries of her childhood and what’s changed since she ate out as a kid. You’ll have to attend the Ohioana Book Festival and talk to Christine Hayes!